One of the reasons many people don’t like cooking is because of the preparation time. Chopping vegetables, grinding spices manually take a lot of time, especially when you have a time constraint. However, with the right kitchen appliances, it becomes quite easy to complete the kitchen chores even on a busy morning. A handy appliance that makes your tasks easy and less time-taking is a grinder and blender. 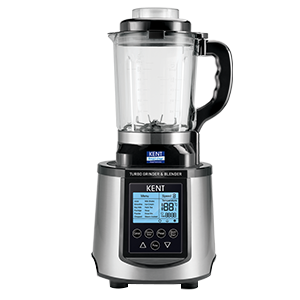 Whether you need to make instant dosa batter, prepare soups or grind spices, KENT Grinder and Blender can help you out. 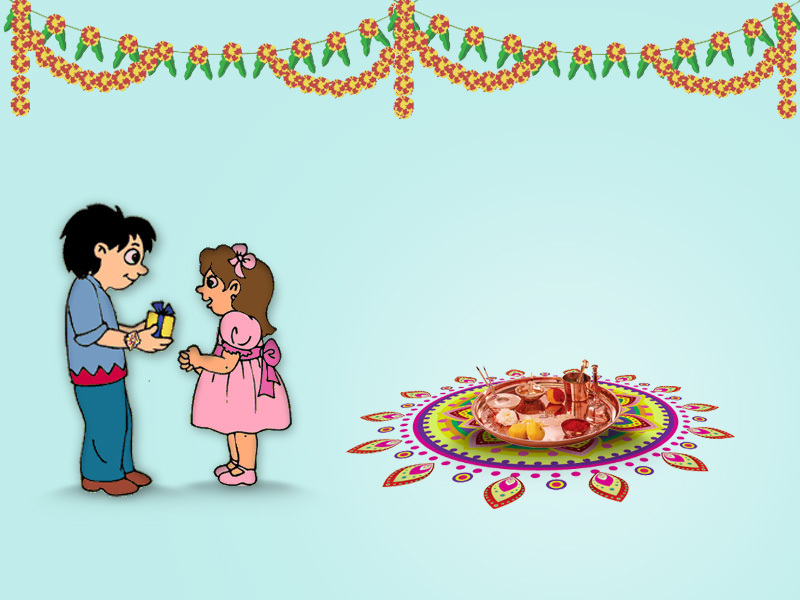 However, if you are not sure about the factors that you need to check, this blog is for you. Here are 4 important factors to consider when buying a grinder and blender. The first important factor that you need to check when buying a blender and grinder is the blade. The quality of blade an appliance has is directly related to its performance. Make sure the appliance has diamond cut, stainless steel blades to make it easy to operate the appliance. Stainless steel blades are not only hygienic but also increase the durability of the product. Diamond cut blades add to the convenience as they make it easy blend and grind food items in a jiffy. The range of blender and grinder from KENT come with diamond cut blades which is the reason why you can prepare dosa batter even without soaking. This is another important factor that you need to consider. Though the jar doesn’t have an impact on the blending capacity, it is important to consider the material as you throw in all the ingredients in the jar when using the appliance. To be on the safe side, it is advisable to opt for a polycarbonate glass jar instead of plastic. The reason is glass jars are BPA free which ensures that you are not consuming any harmful chemicals. Polycarbonate material, on the other hand, is more robust than other glass jars, which is the reason why it doesn’t break easily. 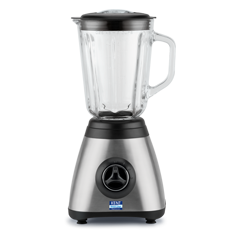 When selecting a blender and grinder, it is essential to consider the operational speed of the blender. A high-speed blender can perform certain functions that conventional blenders are unable to perform. 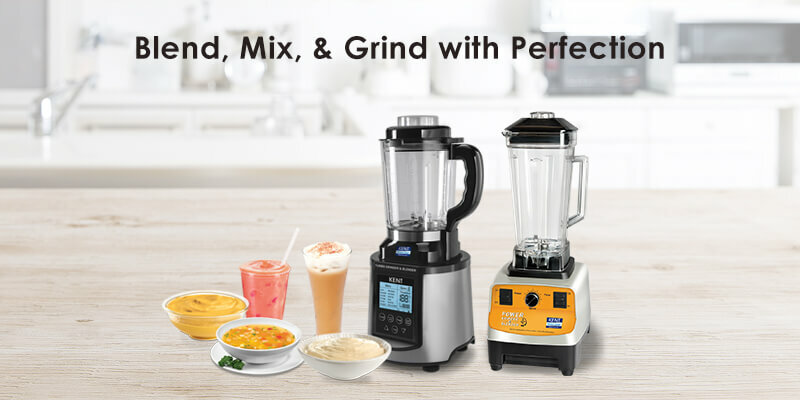 Whether you need to make almond milk, grind spices, or creamy smoothies, a high power blender, such as KENT Turbo Grinder and Blender can help you out. The high-speed operation makes it an ideal appliance for busy mornings when you are running short of time. Make it a point to check the capacity of the blender jar. The jar capacity of a blender varies between 0.2L to 2L. To make your work easy, it is advisable to go for a grinder and blender with high capacity. A high capacity jar makes it easy to mix, blend and grind more food items at one go. Whether you need to make smoothies, juices or grind spices for a big family, a high capacity jar will meet your purpose. Those were some of the essential factors to consider when looking for a blender and grinder. The essential features ensure that you buy a product which meets your specific needs and also make your work easy. To find out more about the range of Grinder and Blender, click here.